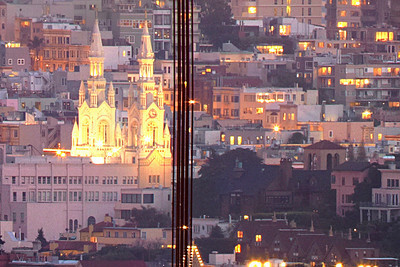 This is a 1.1 gigapixel (13,423h x 80,540w, 1x6 ratio) view of San Francisco, sized down and cropped into 4-2x3 ratio pictures to get them under the 24mb size limit. Each photo can be printed at 24x36 inches at 240 DPI! Each pixel represents 4 pixels from the full-sized panorama, so each pixel is super sharp but not oversharpened. The panorama was created from 112, 11-second exposures with the Canon 5D MKII, a Canon 500L lens with a 1.4 extender. 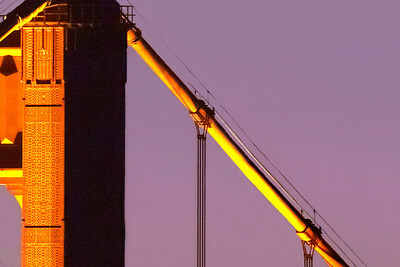 The photos were taken were taken just after sunset from the Marin Headlands on several different evenings under similar lighting conditions over a 2-month period. The big panorama could easily be printed at 36ft wide by 6 ft tall (200dpi) with fine resolution with no pixelation or noise visible! Contact me, Patrick Smith at patrick@patricksmithphotography.com for more information. 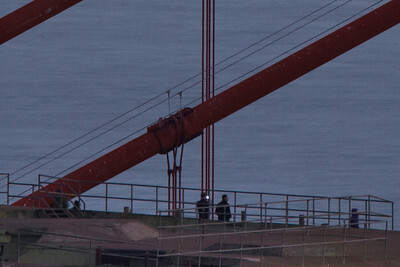 Part 1 of 4 of a 1.1 gigapixel (13,423h x 80,540w, 1x6 ratio) view of San Francisco. Each part can be printed at 2x3 feet at 300DPI. The panorama was created from 112, 11-second exposures with the Canon 5D MKII, a Canon 500L lens with a 1.4 extender. 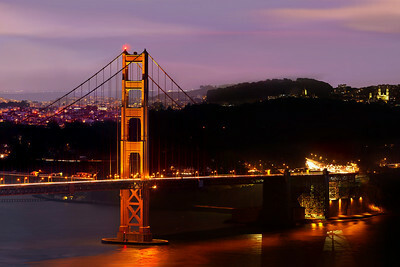 The photos were taken just after sunset from the Marin Headlands on three different evenings under similar lighting conditions. This could easily be printed at 36ft wide by 6 ft tall (200dpi) with fine resolution with no pixelation or noise visible! 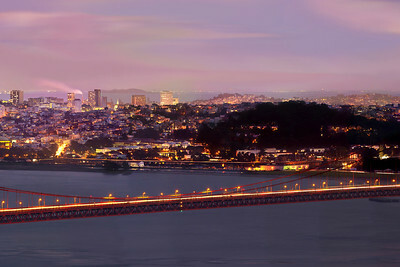 Part 2 of 4 of a 1.1 gigapixel (13,423h x 80,540w, 1x6 ratio) view of San Francisco. Each part can be printed at 2x3 feet at 300DPI. The panorama was created from 112, 11-second exposures with the Canon 5D MKII, a Canon 500L lens with a 1.4 extender. 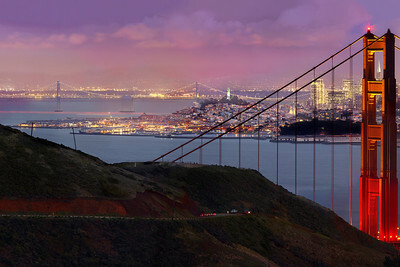 The photos were taken just after sunset from the Marin Headlands on three different evenings under similar lighting conditions. This could easily be printed at 36ft wide by 6 ft tall (200dpi) with fine resolution with no pixelation or noise visible! 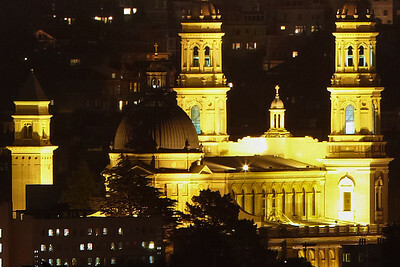 Part 3 of 4 of a 1.1 gigapixel (13,423h x 80,540w, 1x6 ratio) view of San Francisco. Each part can be printed at 2x3 feet at 300DPI. The panorama was created from 112, 11-second exposures with the Canon 5D MKII, a Canon 500L lens with a 1.4 extender. 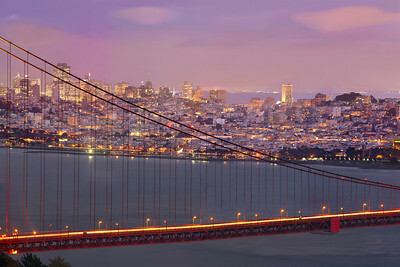 The photos were taken just after sunset from the Marin Headlands on three different evenings under similar lighting conditions. This could easily be printed at 36ft wide by 6 ft tall (200dpi) with fine resolution with no pixelation or noise visible! Part 4 of 4 of Part 1 of 4 of a 1.1 gigapixel (13,423h x 80,540w, 1x6 ratio) view of San Francisco. Each part can be printed at 2x3 feet at 300DPI. The panorama was created from 112, 11-second exposures with the Canon 5D MKII, a Canon 500L lens with a 1.4 extender. 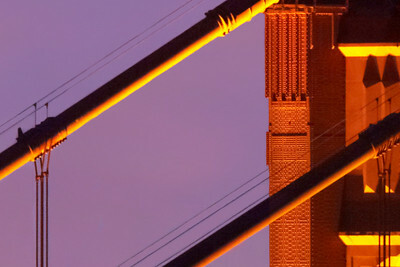 The photos were taken just after sunset from the Marin Headlands on three different evenings under similar lighting conditions. This could easily be printed at 36ft wide by 6 ft tall (200dpi) with fine resolution with no pixelation or noise visible! The full panorama at 2% of original size in the XL version. 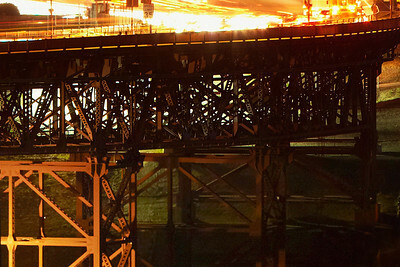 Cropped sections are shown below this photo. All of the photos after this one are 100% crops from the full-size file. Enjoy! The north tower, 1.5 miles away. The south tower, 2 miles away. University of San Francisco (far right corner of panorama), 4 miles away. Area under the bridge toll plaza on the left side of bridge. Buildings and cables near Coit Tower, 5 miles away.